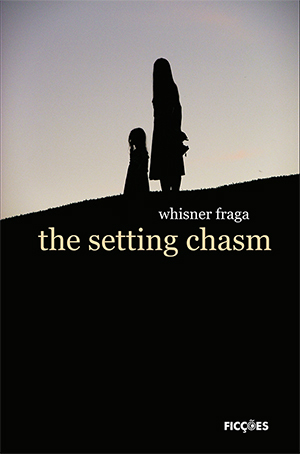 the setting chasm is a narrative or a set of tales about the Lebanese immigration to a small town in the countryside of State of Minas Gerais. It is through the impressions and memories of the narrator, mediated through the personification of the exotic, the foreign, and the different, all represented by Helena and Afif, that the reader starts to understand a story of prejudice and misconceptions. 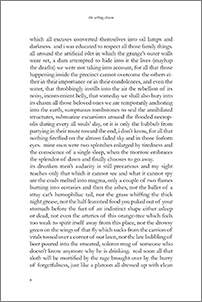 The work is divided into nine parts, so put together that it can be read as a complete novel, or individually, as if a book of short stories. Some narratives were honored with awards at important literary contests, and a priori, are not unprecedented, having appeared in anthologies at other events. However, these texts, now represented by the setting chasm, appear revised and profoundly modified. The nine stories were honored with a prize from the Secretaria de Estado da Cultura de São Paulo – The State Secretariat for São Paulo Culture - and it is thanks to this incentive that the book is now available to the public. The author is no beginner in literature, and in this, his sixth book, his name is now definitively inserted among the renowned contemporary writers of our country. I recently read the setting chasmand was impressed by the vigor of the language used, or rather, with the effect of language, coming across as a poetic prose, dilacerating, and, at the same time, very convincing. Influences aren't evil but necessary, especially when an author finds their own voice, as was your case. In the story that you sent me, and in this account as well, I perceived some of Raduan's prose, yet in a tone that is very much yours, as should be the style of each fiction narrator. Congratulations on the book. Whisner Fraga was born in 1971, at the town of Ituiutaba, in the countryside of the Brazilian state of Minas Gerais. He is a civil engineer and a writer. He participated in a number of literary anthologies, in which writers awarded in literary contests were published. His short stories were published in Revista E, sponsored by SESC [Social Service of the Chambers of Commerce Association], in the Cult magazine and in the Correio Braziliense newspaper. His book, A cidade devolvida [The city that was given back] was recommended by the Bravo! magazine. He wrote literary critiques for the newspapers, Jornal do Brasil, Estado de Minas, and Rascunho [First Draft]. 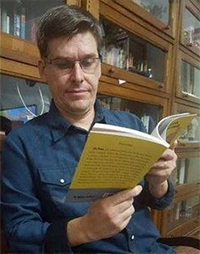 He was book reviewer for the site Leia Livro [Read a Book], sponsored by São Paulo State Department of Culture. His novel, As espirais de outubro [Spirals in October] was a runner-up in the first SESC Literature Award and later won a prize granted by the União Brasileira de Escritores – RJ [Rio de Janeiro branch of the Brazilian Union of Writers] in 2004. It also won the PAC contest promoted by São Paulo State Department of Culture and soon after the book was published by Nankin Editorial publishing house, in 2007. Abismo poente [Setting chasm] was awarded in the PAC 2008 contest – three of the narratives included in the book, those numbered i, iv and vi, were selected respectively in the 2006, 2007, and 2008 editions of the Luiz Vilela Award, one of the most important and coveted literary prizes given in Brazil. For the publishing house + free shipping + shipping immediately! Click the button next to: fast, easy and secure!